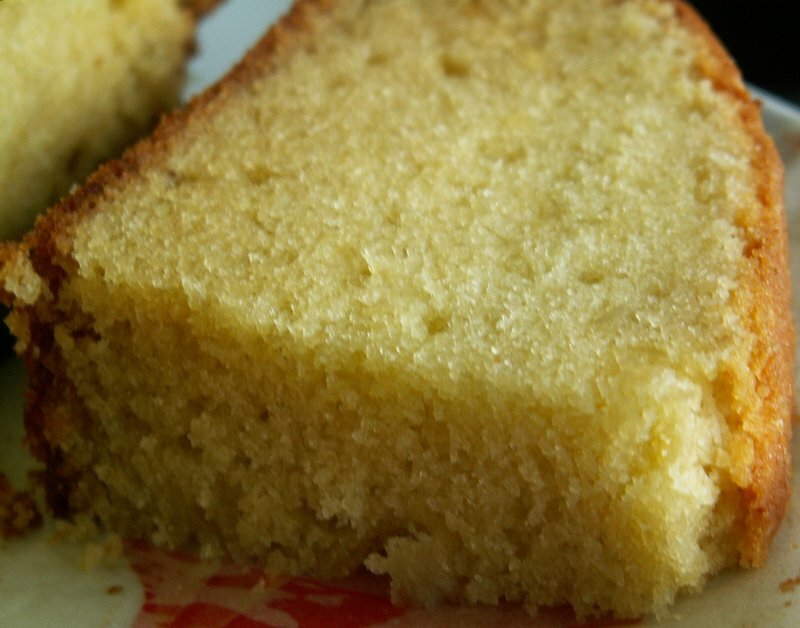 This is the basic butter cake recipe that has served me well. From this basic recipe, I can create many other types of cake from it. The key to remember is to adjust the sugar amount. If you are making something with chocolate chips, sweet fruits or anything sweet, just use less sugar. You also do not have to worry too much about the quantity. Use the weigh of your butter as the yardstick. Some butter weighs 250 grams a block while some is only 225 grams. If your butter comes in pounds and ounces, then, so be it. Just get the self raising flour and sugar in the same weight. You may want to reduce the sugar by 1-2 tablespoons if you don’t like your cakes too sweet. The other thing is get the right eggs. Normally eggs come in size A, B and C. Avoid C size which are very tiny eggs. They are so tiny, they fell off my eggs shelf in my fridge LOL. But if you have that, instead of using four eggs, use five if you have to. Before pouring your cake batter, see if it is too stiff. Too stiff means when you use a wooden spoon to scoop it up, it stays there, refusing to drop. Add some milk to make it softer or your cake will be too hard. Most important ingredients of all is – LOVE. Anything cook with lots of love and full of happiness will taste good, no matter how you whip it. Heat oven to 180 deg C. Line cake tin, size about 8 inches in diameter. In a mixer, beat butter and sugar till white and fluffy. Add in eggs one at a time, alternating with flour. Add vanilla essence to milk and mix in. Check the consistency of the batter. It should be of dropping consistency. If it stands peaking and hard, add more milk. Pour into baking tin and bake for about 50 mins. 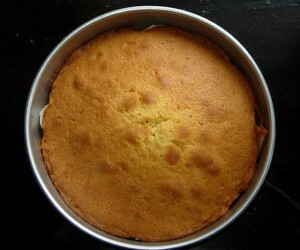 Tadaaa… the golden butter cake. 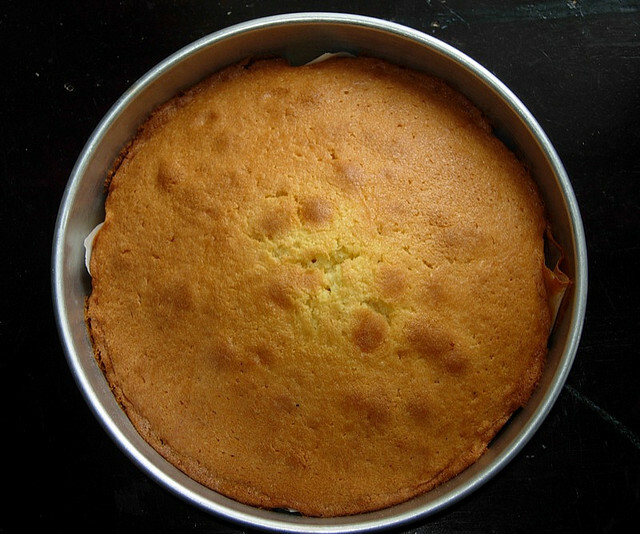 To avoid your cake cracking, make sure your batter is a little less than half the height of your cake tin. Do not attempt to put all into one cake tin if the quantity is too much or you will end up with cracked surface, uncooked middle and very hard crusts or even burnt. Leave whatever quantity behind and make a baby cake. Or cupcakes. Bake some of these cakes for Chinese New Year. Practise now so that you are more adept by Chinese New Year which is exactly a week away. People loves butter cake on Chinese New Year. I don’t know why but they just do. Don’t bother buying those lousy ones made with butter essence which leaves a sickening flavour in your mouth. I have a lot of variants of cakes like green tea cake, chempedak cake, banana cake, orange cake, marble pound cake, all using the above recipe. This site is updated with new recipes and foods every day. So, subscribe to Best Recipe RSS feed now so that you don't miss out anything. Thanks for visiting and enjoy! Food, travel, recipes. Chinese Malaysian, blogger, photographer and writer. Hi..lilian….i always make some butter cake on the first day of CNY…a freshly bake butter cake smells heavenly….btw…you have type ‘baking powder’ instead of ‘butter’ in the 2nd paragragh….Happy Chinese New Year to you and family…! sweet jasmine – LOL, I was thinking in Hokkien. It is self-raising flour. Thanks for pointing out or else someone use 250 gms of baking powder and gets a mountain. Hahaha. I would like to know what kind of oven you are using, brand, model etc. I am interested in getting one, but would like your recommendation since I am newbie in this :p Thanks yeah! Thanks for the tips. I never knew that if the batter is higher than half the height of the tin, I get cracked cakes. I mentioned your tip on my blog and also linked to your food blog. Hope you don’t mind, coz it was a life saver for me.